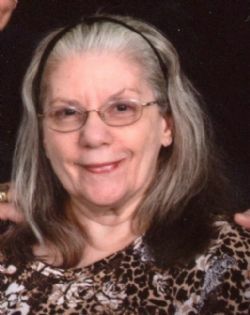 Karen Kaye Dees went home to be with her Lord and Savior Jesus Christ at the age of 77, on Tuesday morning April 10, 2018 after a lengthy illness. Karen was born on November 13, 1940 in Bellington, WV to Kenneth F. and Mary Helen Jarrett. She graduated from Lost Creek High School in 1958. She lived there through the 60’s, married, and had two children. She worked in retail for over 30 years. She met the love of her life, Doug Dees, in the summer of 1989. They both worked for WalMart and she was serving hot dogs and accidentally dropped it on the ground. He ate it anyway and married her on April 15, 1990. The both transferred to Lake Jackson on December 15, 1990. They both became members of the First Baptist Church Lake Jackson in 1991. She is survived by her husband, Doug, of Lake Jackson; daughter, Linda Brown (husband Robert) of San Marcos; and son, Robert Brown (wife Jan) of Cape May, New Jersey; her husband’s five children, Amy, Victoria, David, Michael and Brian; and multiple grandchildren. She is also survived by three sisters, Susan James (husband Danny), Mary Beth Reaser (husband Mark), and Layna Jarrett; and brother, Larry Jarrett (Joyce), all of West Virginia. She was preceded in death by her parents, Kenneth F. Jarrett and Mary Helen Jarrett. She loved to read, collect Christmas Village houses, working and serving her Lord. She was a beautiful, talented and remarkable lady, inside and out, and the love of Doug’s life. There will be a private family visitation at Lakewood Chapel on Tuesday, April 17, 2018 at 5:00 p.m., public visitation will follow from 6:00 to 8:00 p.m. Funeral services will be held at Lakewood Chapel on Wednesday, April 18, 2018 at 10:30 a.m. followed by graveside services at Brazoria Cemetery in Brazoria, Texas. In lieu of flowers, donations can be made to the First Baptist Church Lake Jackson Music Ministry in her honor.